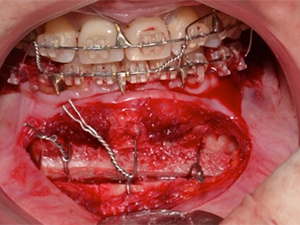 Anterior zone represents a clinical challenge in dentofacial esthetics. This presentation is unique since we will illustrate multidisciplinary treatment for the anterior zone from A to Z. Through the perspective of a Master Dental Ceramist & Restorative Dentist combined with the input of the Orthodontist we will illustrate with clinical cases the management of anterior esthetic challenges. Skeletal & dental problems are treated through orthodontics & orthognatic surgery prior to periodontal plastic surgery & finally high quality restorative dentistry gives the final touch to our cases. Extensive details of the ceramic laboratory work will be explained & illustrated for preserving as much as possible tooth structure. The complete management of anterior veneers & metal free crowns will be explained in detail. Color & shapes are an integral part of this webinar. Individualizing solutions for each patient is the key to veneers & crowns looking as close as possible to natural teeth. The orthodontist, ceramist and restorative dentist merge art & science for the best possible results. The protocol for long term care of these anterior esthetic restorations will be presented. As an integral part of long term results that meet both function & esthetics. The importance of good clinical photography & smile design principles in anterior esthetic dentistry will be illustrated through our clinical cases. 1) To demonstrate how the synergy of orthodontics, orthognathic and periodontal plastic surgery combine to enhance the clinician’s options for solving esthetic dilemmas. 2) Outline a reproducible and systematic team treatment planning flowchart to make interdisciplinary therapy more effective and efficient. 3) Illustrate the importance of good clinical photography & smile design principles in anterior esthetic.